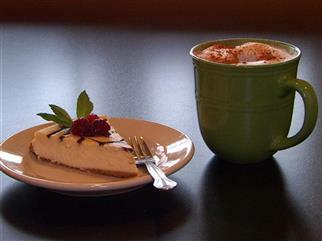 The Peace Tree Juice Cafe gets its name from ancient legend within the Native American Indian Iroquois Nation. Initially made up of five nations, or tribes: The Mohawk, Seneca, Oneida, Cayuga, and Onondaga tribes of what is now New York state. In what was known as The Great Binding Law of the Constitution of the Iroquois Nations, believed to be recorded as early as 1124 A.D... These tribes, after many years of unrest and discord amongst themselves, agreed to cast down their weapons in the cavity of an uprooted tree, symbolizing the burying of their greed, hatred and jealousy. They then replanted the tree over the buried weapons and vowed to live in peace amongst themselves. That tree became known as the Tree of Peace. For centuries, the men and women of these tribes lives in harmony and equality, and were recognized as one of the most politically and socially advances civilizations of all time, influencing future political philosophy long after their demise. 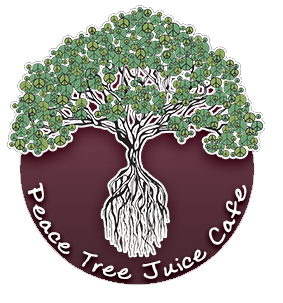 The Peace Tree Juice Cafe celebrates this promotion of goodwill and harmony. It is our goal to provide healthy, flavorful sustenance using natural, organic, and farm-to-table foods when possible. Additionally, we believe in the strength of our community as we strive to offer top-quality food and products that are locally grown and made. We thank you for visiting us and hope your experience is satisfying and enjoyable. Naturally, we wish you...PEACE.